Hi! I have rw series pump about 2 years. Now I swapped it to Ow series. New pump series is much quieter then rw pumps. Thanks for great product. I have the RW series and now OW series that pump is excellent . powerful , create excellent waves. Always satisfyed. Good products, fast to deliver. Perfette, silenziosissime. Ottimo prodotto e ottimo prezzo. Spedizione rapidissima. With a small modification is silently enough. 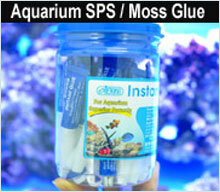 I am using just one OW 25 for LPS aquarium with the lenght 140 cm and it works very well. Excellent pomp. Fast delivery. Very quiet.